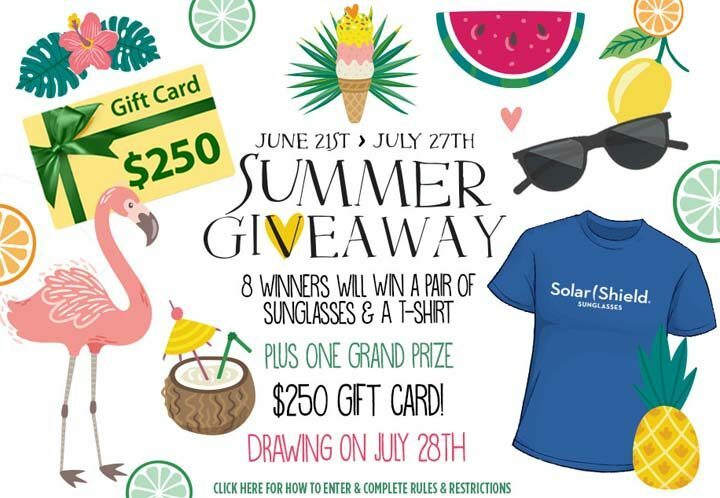 The Dioptics Summer Giveaway is open only to legal residents of the fifty (50) United States and the District of Columbia (excluding Puerto Rico and all other U.S. territories) who are eighteen (18) years of age or older. The Dioptics Summer Giveaway ends at 11:59:59 p.m. PST on July 27. You can enter by visiting solarshield.com and following the link for the entry form. Limit one entry per person per day. ‹ Pringles Coupon Contest	› Concours Cogeco L’été avec CASA, c’est payant!